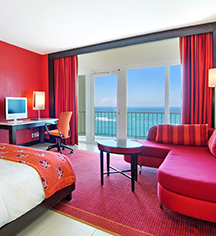 With approximately 390 square feet of living space, panoramic ocean views, and large private balconies, Ocean View Rooms at The Condado Plaza Hilton offer maximum space in a premium setting. 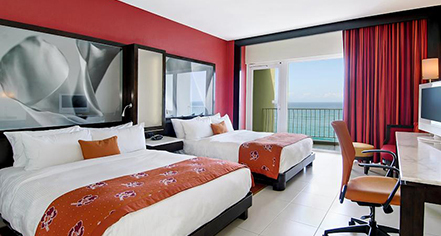 Available with one king- or two queen-size beds, these rooms have been designed with comfort and convenience in mind. Modern amenities include an oversized bathroom, complimentary wireless Internet access, ergonomic chairs, and workstations.